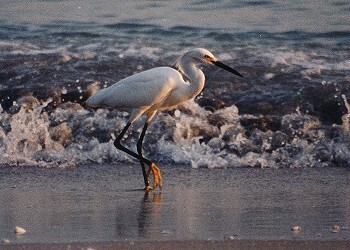 Egrets are found throughout Florida. A Snowy Egret at the water's edge as the sun sets. 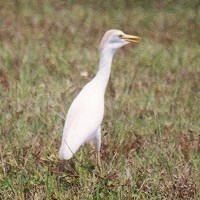 A Cattle Egret in partial courtship plumage -- the buff colored feathers on the head. Cattle egrets are so named because they're often seen perched on the backs of cattle.